Ever since my sister returned from a trip to India, she has been raving about the amazing impact that using Indian spices in your everyday cuisine can have. She has cooked my brother and me a few memorable Indian meals and both of us have been eager to master the skills as our own. This past weekend us three siblings finally got together for the cooking lesson we had been waiting for. 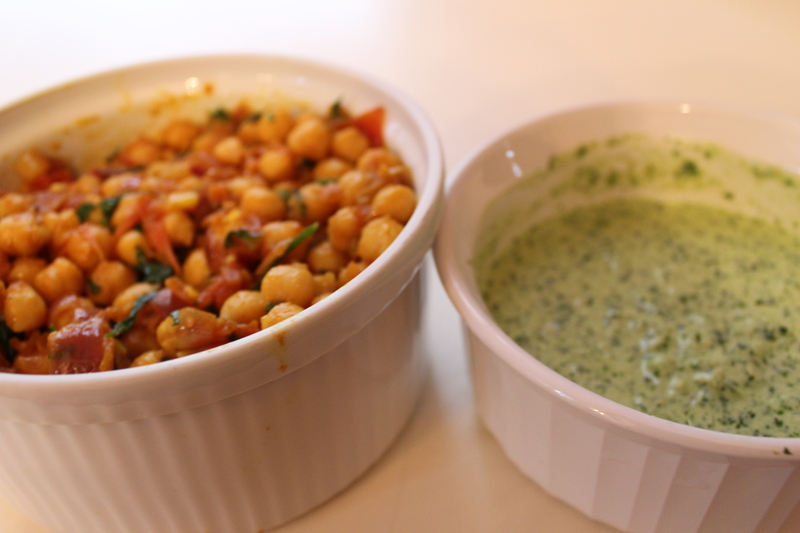 Combining the flavors of saltiness, sourness, sweetness, and heat, my sister taught us how to make a killer chana masala and a re-imagined cilantro chutney using yogurt as a base. It was the perfect way to invigorate an otherwise boring vegetarian meal, using creative flavors to enliven the healthy ingredients of chickpeas, ginger, yogurt, and other veggies. 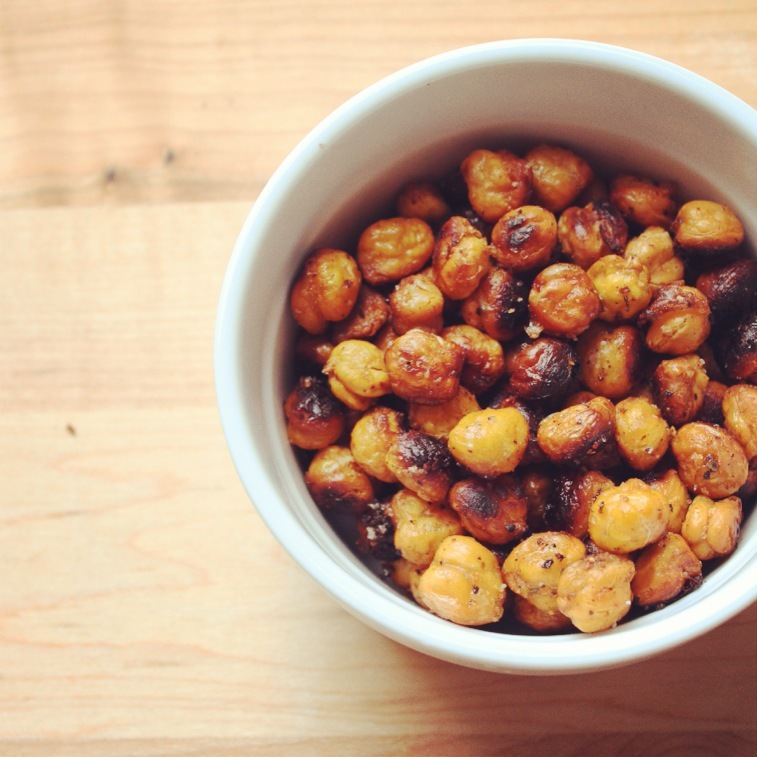 The great thing is, many of the spices used for the chickpea dish can be incorporated into other vegetable combos for a delicious, healthy meal or side dish. At the end of the day though I think anything made on a fun afternoon with my family would taste perfect. I admit I love some greasy Chinese food delivery, especially while watching Sunday night television. And, there’s nothing like it in NYC. I always joke that I don’t even have time to go to the bathroom in the span of time between placing my order and the deliveryman knocking on my door. Plus, I’m ordering from the same places my uncle was ordering from 25 years ago. There is no denying that Chinese food delivery is easy, comforting and cheap but the truth is one meal is usually filled with enough sodium, fat and calories for the next three days. Not to mention the use of MSG and the portions being enough to feed an army. Below is my recipe for an Asian inspired meal. I can’t promise you cute little fortune cookies at the end of your meal but what I can promise you is an easy, nutritious and delicious meal with all the flavor to satisfy your Chinese food craving. One of my favorite memories from childhood is sitting in the school cafeteria and unfolding the shiny foil of my lunch to find a crustless peanut butter and jelly sandwich with a handprint embedded in the Wonder Bread. Knowing how deeply I loved my sandwich extra thin, my grandma, who made my lunch, would press down as hard as she could on the bread to flatten it, leaving a surprise engraving for me every day. It was the perfect symbol of her love. Although the peanut butter and jelly from the jar on white bread has morphed into healthful homemade natural almond butter spread on something a bit more nutritious- the feeling of enjoying a nut butter sandwich has reminded me to appreciate the simple things in life and remember the special love my grandma had for me. Invite some friends over for this one because nothing can compare to the warm, comforting and amazing aroma that takes over your kitchen when an apple cake is being formed in the oven- they will instantly be impressed (and hungry). 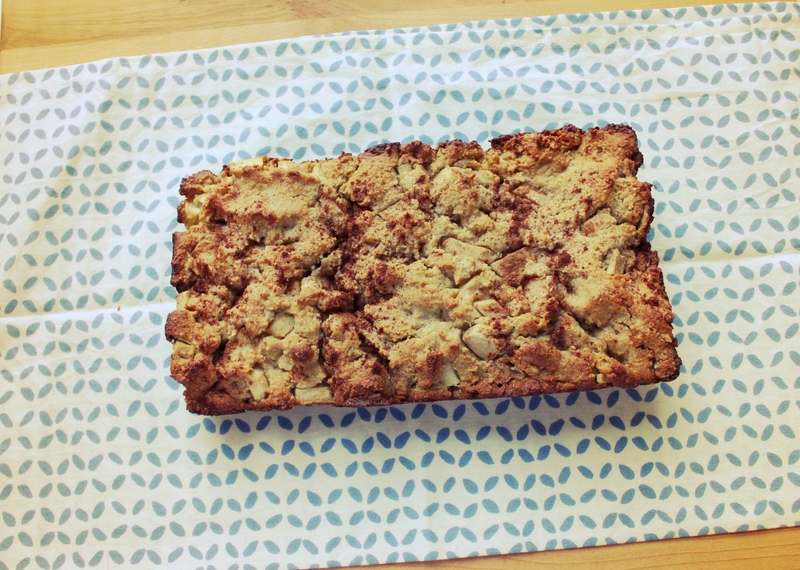 The following apple cake recipe is simple yet delicious and is filled with protein, omega-3’s & nutrients to make your mind and your belly healthy & happy. 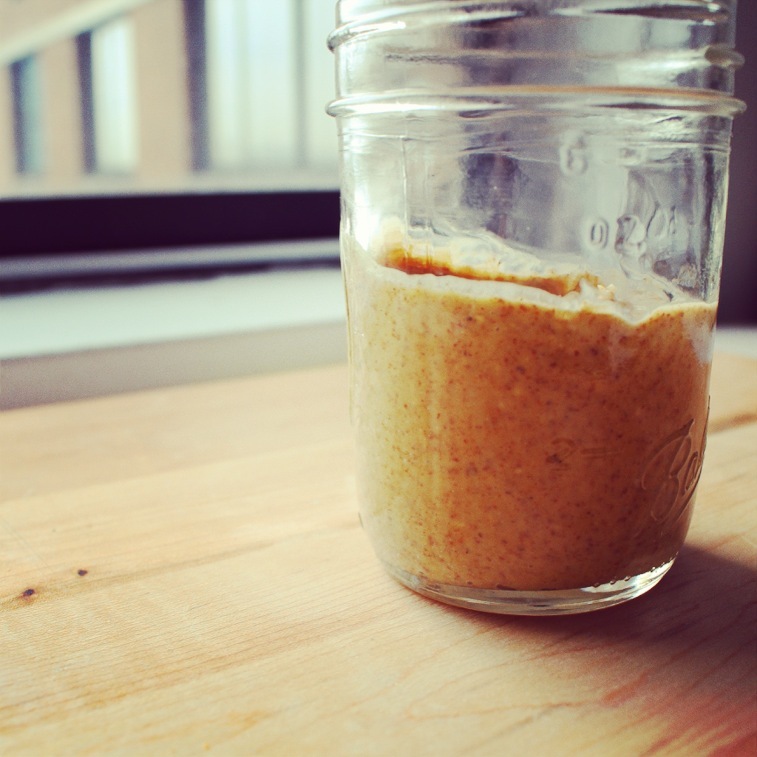 My goal for my blog is to make the gluten free healthy lifestyle easily attainable. I want to share my recipes and tips with you all so that you will not only be physically fit and happy with yourself but internally and emotionally as well. I truly believe (and I can back this from experience) that a healthy lifestyle makes you feel all around happier and more energized. This idea applies to almost everything in life- if you put in a great effort you will get great results and same goes for your body. If you nourish your body with healthy, nutritious and whole foods you will attain the ultimate result- good health and happiness. 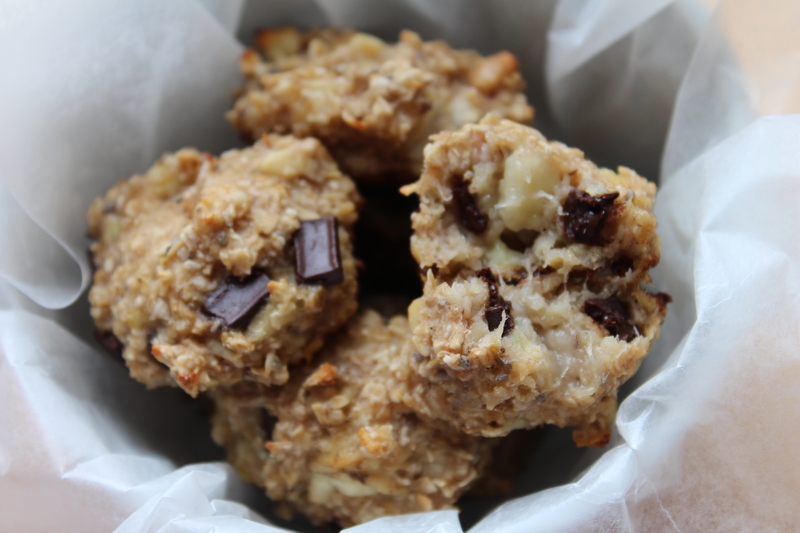 On that note, I would like to share with you a recipe for a quick, easy, high fiber, high protein & dairy free breakfast cookie that is great for on the go or even just a simple snack. 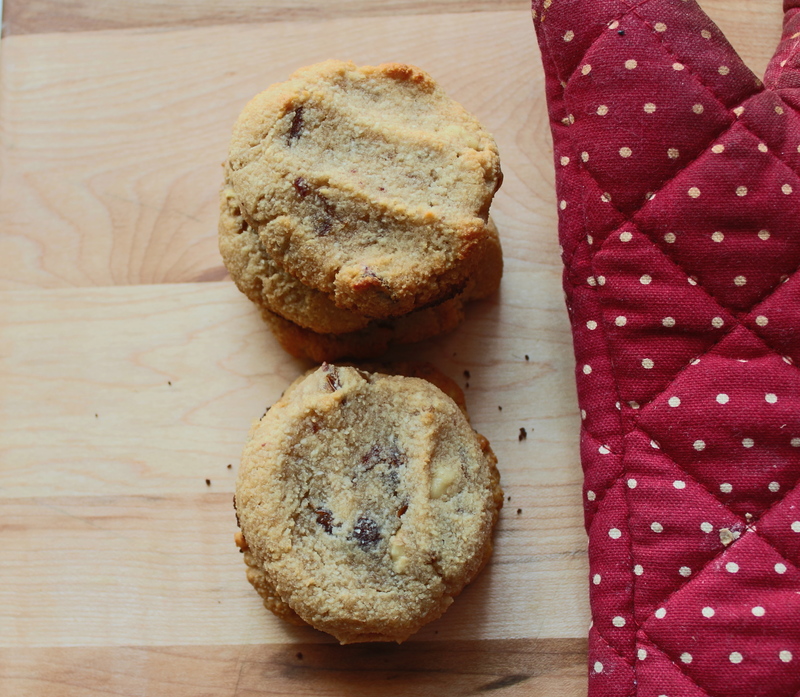 The ingredients are really just your typical morning oatmeal baked up into a yummy cookie so; go ahead and even eat the entire batch! 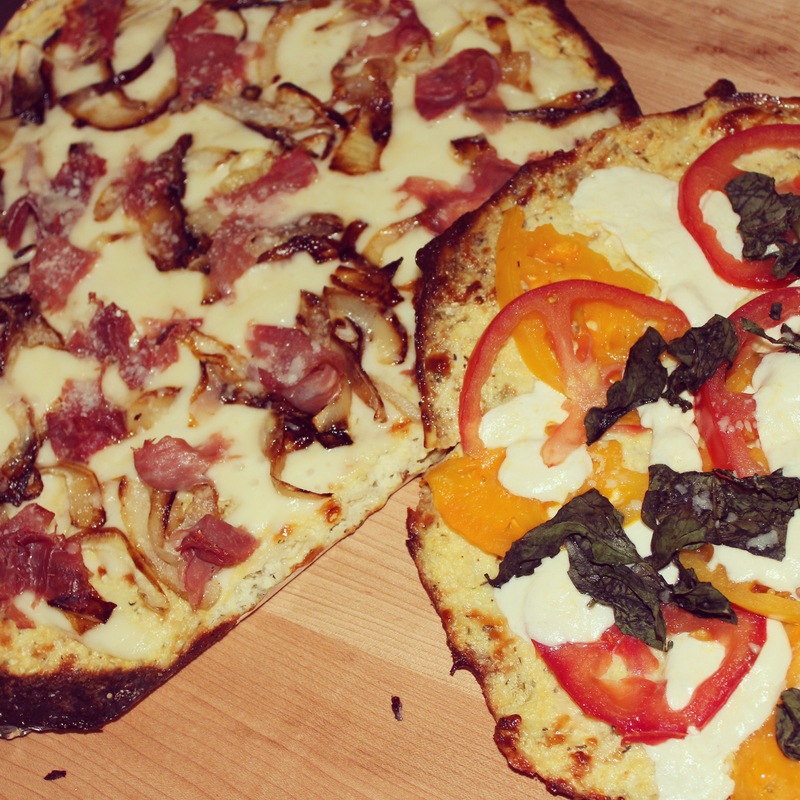 This is a healthy gluten free pizza that is absolutely mouthwatering delicious. And guess what the crust is made from? CAULIFLOWER! Finally, a healthy gluten free pizza option without all that corn and tapioca garbage. This pizza is unbelievably satisfying, with a crunchy crust and a doughy center that you can actually pick up, fold and devour. You are probably very skeptical right not but please trust me, it’s even deep-dish pizza, white bread loving boyfriend approved. I experimented with two separate pie toppings- one topped with caramelized onions and prosciutto and the other Caprese style with fresh mozzarella, basil and heirloom tomatoes. Each equally delicious! Overnight Oats is simply “no-cook” oatmeal and with its make ahead convenience it is perfect for a protein, fiber and nutrient filled breakfast that will keep you full and focused until lunch. It also is low in fat & sugar, which makes it a perfect replacement for those calorie, fat and sugar packed granola bars or coffee shop pastries. 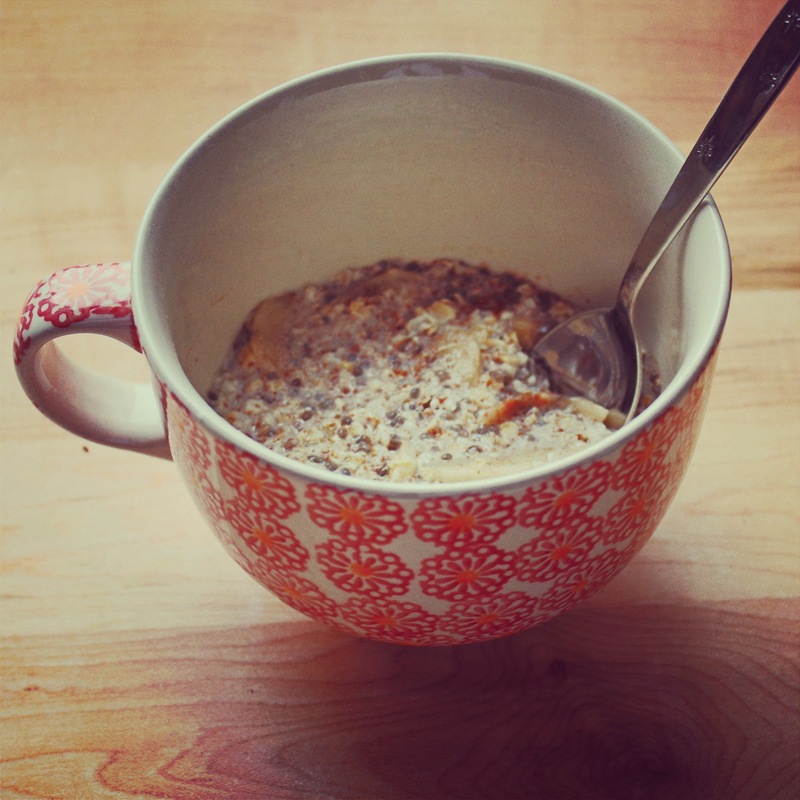 This recipe also includes Chia Seeds, which are an unbelievable super food. 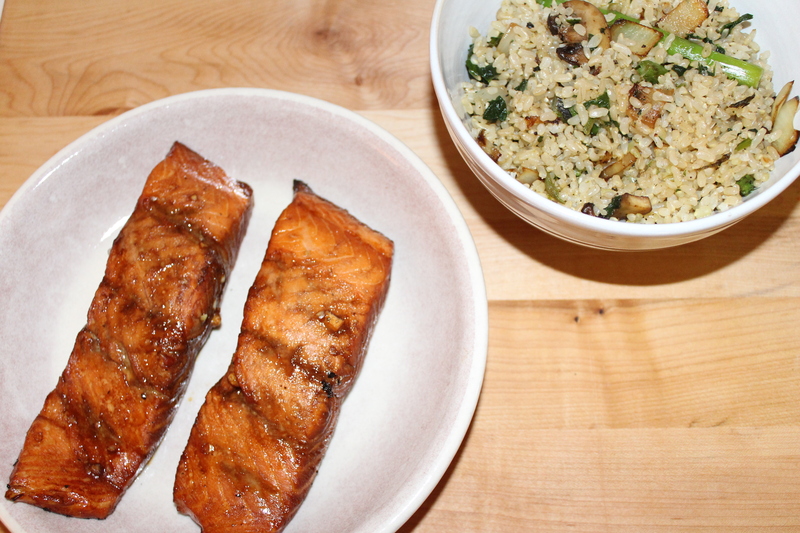 Per ounce, these bad boys contain 11 grams of fiber, more omega-3 fatty acids than salmon and flax seeds, contain more protein than a serving of quinoa and are loaded with calcium and vital anti-oxidants. My favorite candy has always been Raisinets. They are a major weakness for me. 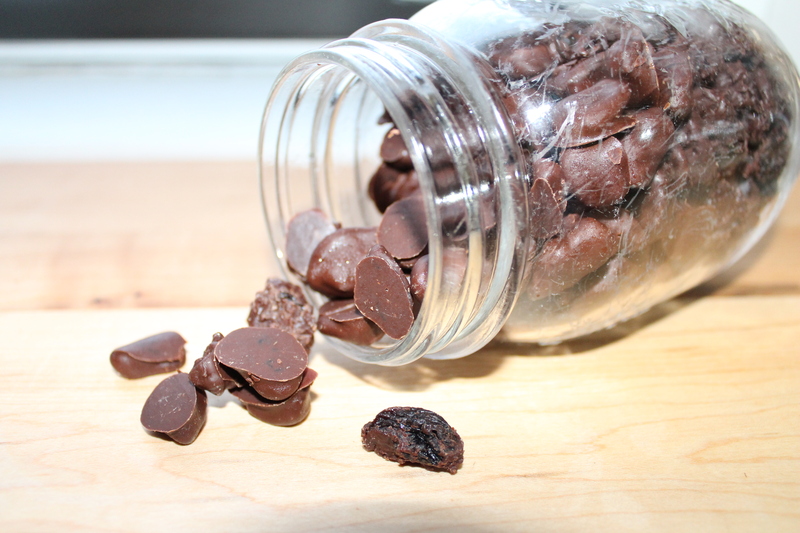 They have the potential to be healthy (chocolate and dried fruit- what can be bad?) but, out of the original box they are absolutely not. My mantra is to never eat anything you can’t pronounce so what the heck is Tapioca Dextrin– the twelfth ingredient in these candies?